Peter Lynn Kite Ground Stake in Sheath Case Accessory for power kite anchoring (handy accessory for self launching, self landing, securing kite gear / lines). 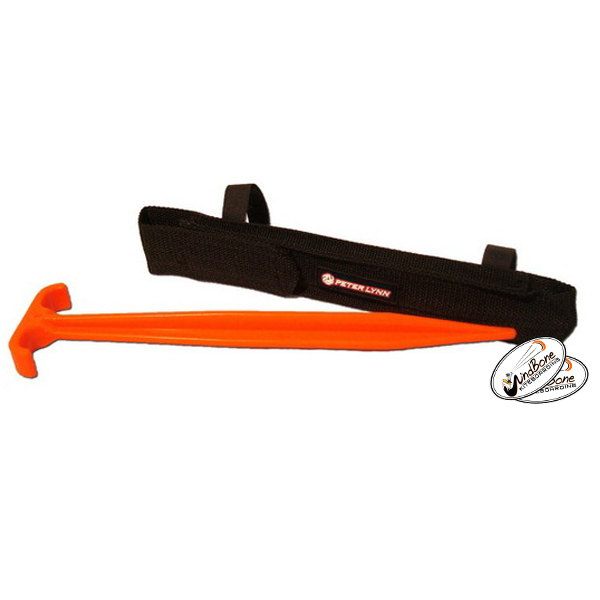 The Peter Lynn Kite Ground Stake with Case is a highly visible bright orange groundstake to peg down your kite when taking a break, and self launching / landing. 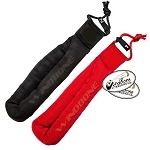 It comes in a sleeve sheath case with Velcro straps for attaching it to your kite bag, harness, buggy, etc..
WindBone Kite Surf Paddle & Hobby is an actual Kite, Kiteboarding, SUP, & Hobby Shop based in NJ. We physically stock Peter Lynn Kites, Buggies, Harnesses, Gear, PArts, & Accessories and are an Authorized Peter Lynn USA Dealer Shop. This means that you are guaranteed to receive your item in OEM factory authorized authentic condition, always worry free, plus you are purchasing from a real shop with actual expertise on the Peter Lynn Lineup and ready to help with any questions or support. 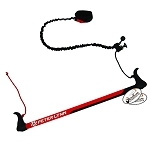 Authorized Peter Lynn USA Dealer Shop - Extensive Items Available from many top brands. No Games with the WindBone, Just the Best Pricing & Service You'll Find.. (Package Discounts / Deals Always Available -let us know what gear you need and we'll put together a package that can't be beat.. Specializing in many top brands - Contact Us for Latest Stock Options and Deals. Please Contact Us with any questions and for all your Peter Lynn Kite, Gear, & Accessory Needs and/or any Kitesurfing, Kiteboarding, Power Kiting, Surf, SUP, Skate, and general Watersport Gear needs -if you don't see it just ask.. (used & closeout gear currently available, Latest Gear In Stock).. Local Demos also available in the NJ/NY/PA-Metro area. Authorized Bravo USA Dealer Shop & Repair Center. Please Contact Us for the Latest Pricing, Deals, Coupons, Promotions, etc.. -No Games, Just the Best Pricing & Service You'll Find.. (Package Discounts & Deals Available -let us know what gear you need and we'll put together a package that can't be beat. Most Items in Stock, but Stock/Availability may vary at times on certain Kites, Boards, Gear, or Special Items, every effort will be made to get your order shipped out ASAP -prompt contact will be made if any availability or ship lead time issues arise. Feel free to Contact Us with any questions. 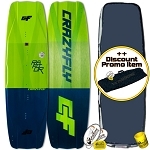 Also, please Contact Us for all your F-One, RRD, Crazyfly, Ocean Rodeo, HQ, Peter Lynn, Litewave, Mystic, Broardworks, Bravo Elec Kite Pumps, Trainers, Kitesurfing Lessons, Kite / Kiting, and general gear needs -if you don't see it just ask.. (used & closeout gear currently available).. Extensive Demos also available in the NJ-NY-PA-Metro area (F-One, Crazyfly, Ocean Rodeo, HQ, Peter Lynn, Boardworks, & Litewave Demo Test Center). The sport of Kiteboading can be extremely hazardous/dangerous without proper instruction/experience -those new to the sport please seek professional instruction prior to engaging in the use of kitesurfing equipment. 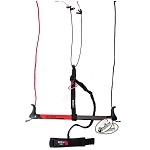 Any Instructional or training items or material (kiteboarding DVD's, web videos, trainer kites, etc.) are not intended to replace professional instruction. We are also now carrying the full line of RedCat Racing Performance RC Vehicles in Electric and Nitro Gas Power Options, plus RC Performance Upgrades & Replacement Parts, Yuneec RC Drones, and more - Contact Us for latest availability options and or check out our Hobby RC section for model options and details. your Peter Lynn Kite, Gear, & Accessory Specialists. 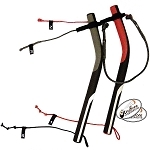 WindBone Kite Surf Paddle & Hobby is an Authorized Peter Lynn USA Dealer Shop.